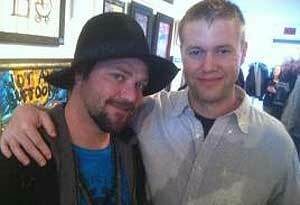 This Friday from 5 to 9 p.m., the Chester County Historical Society will welcome the West Chester debut of Brandon “Bam” Margera’s artwork. The homegrown star of Jackass fame is teaming up with West Chester artist John Hannafin, a Historical Society regular, for Gallery Walk, a popular, borough event held on the first Fridays of June and October. Robert Lukens, the Historical Society president, said Hannafin has been renting exhibit space from CCHS for four or five years. This time, Hannafin added Margera and a couple of Margera’s friends including photographers Red Mohawk and Ryan Gee, it is expected to be an eclectic mix. Make sure not to miss the Gallery Walk this Friday in downtown West Chester for more information check out this article offering a little more insight into the event.